Grammy award-winning Americana and alt-country superstar Sturgill Simpson will headline the Moose Light Blues Tent during the Harvest Jazz & Blues Festival. Music lovers can breathe a sigh of relief now that organizers have found a new performer to headline this year's Harvest Jazz & Blues Festival. 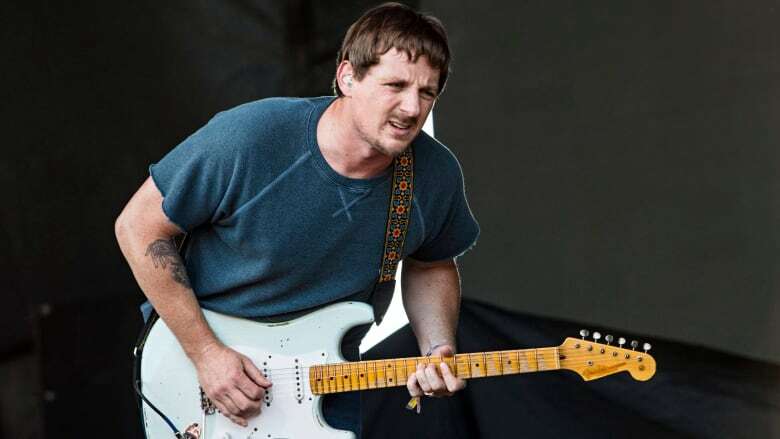 The festival announced on Thursday that Grammy award-winning Americana and alt-country singer Sturgill Simpson will headline the Moose Light Blues Tent on Friday, Sept. 14. The announcement comes after organizers indicated last week that Friday night headliners, Nathaniel Rateliff & the Night Sweats, cancelled their performance at the annual festival. But the group promised they will perform at the festival in 2019. Instead, members of the Indie folk, Americana and rhythm and blues band will be attending the funeral for their producer, Richard Swift, who died in early July at the age of 41. Swift was also a musician who played with the Shins and the Black Keys. He produced the Night Sweats' debut album, as well as its followup, Tearing at the Seams, released this year. Simpson, Harvest's newest headliner, won best country album at the 2017 Grammy Awards. He was also nominated for album of the year, along with Drake, Justin Bieber, Beyoncé and Adele, who ended up winning the award. The 40-year-old Kentucky native released his third solo recording, A Sailor's Guide to Earth, in 2016. "I was looking for someone who was going to put on a great show and be align with Nathaniel," said Brent Staeben, programming director with the Harvest Jazz and Blues Festival. Before that, the artist released two independent albums, High Top Mountain in 2013 and Metamodern Sounds in Country Music in 2014. Staeben said people who attend the festival have been requesting Simpson for a number of years. "In this case I kind of framed a bit of a pitch for him and kind of said, 'hey you could really help us out in a pinch here … you've got a ton of fans here in Fredericton,'" he said. "And they went for it." Staeben said Simpson is even renting a private jet to fly to another show in Colorado the next morning. "Harvest has really built an organization based on the goodness and welcoming nature of its people and the people of Fredericton," he said. "That's what we kind of have to leverage in times of toughness like this." Harvest patrons who bought a ticket to Nathaniel Rateliff and the Night Sweats can use that ticket to see Sturgill Simpson at this year's festival. Tickets can also be refunded. Tickets to see Simpson will be available on Aug. 25.